Cinnamon buns and pancakes are delicious once in a while, but sometimes, you want to put the sweetness on the back burner in lieu of some salty goodness. 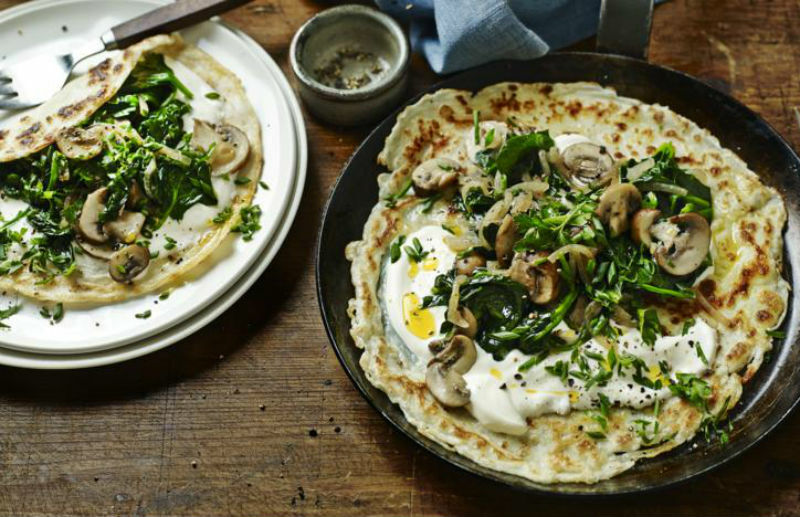 Savory pancakes have never looked better. A traditional chickpea crepe from Southern France is topped with an egg, roasted veggies, and sweet potato spread for unusual but mouthwatering flavor combinations. 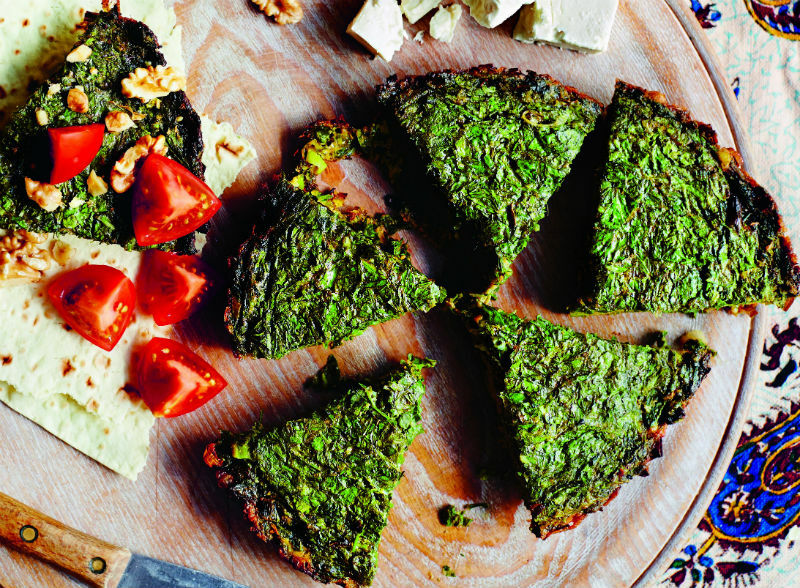 A classic frittata is usually egg, veggies or meats, and sometimes cheese. 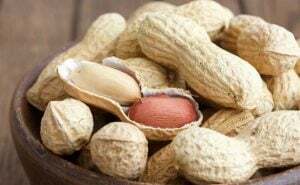 But in Iran, it’s loaded with spinach, parsley, dill, cilantro, turmeric, and fenugreek leaf for an incredibly fragrant dish. 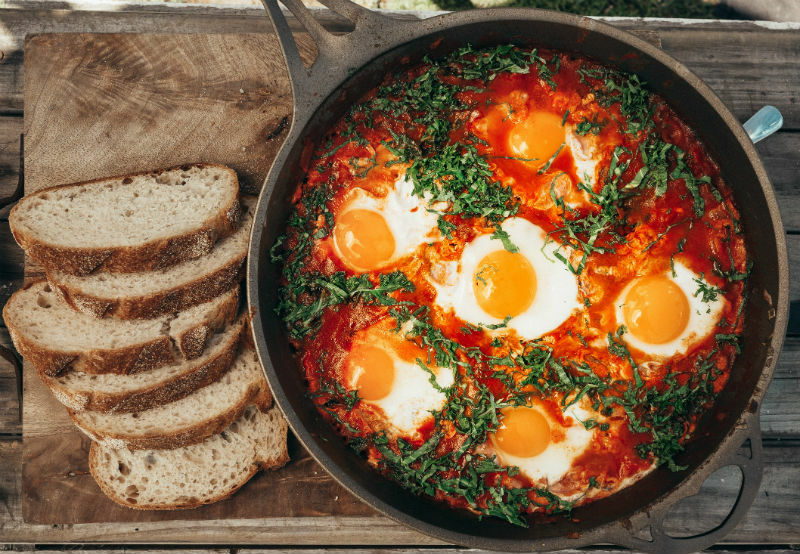 A West African classic that uses a tomato base with baked eggs, veggies, herbs, and sausage. A hot comfort food that’s simply impossible to stop craving. This is an easy meal-prep recipe to keep in the freezer, or to impress guests at your next get-together. 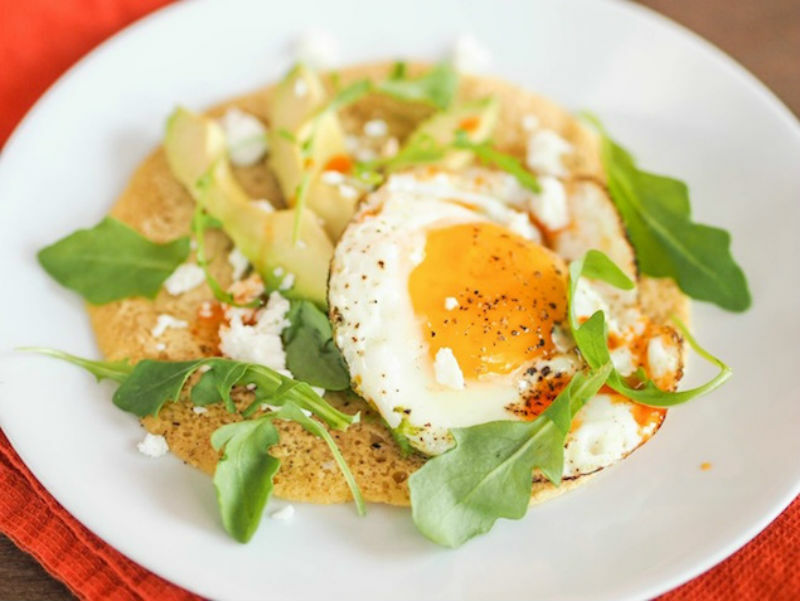 The crispiness of the hash browns paired with a runny egg against refreshingly chilled avocado is one that’s restaurant quality. This is a Westernized take on congee. 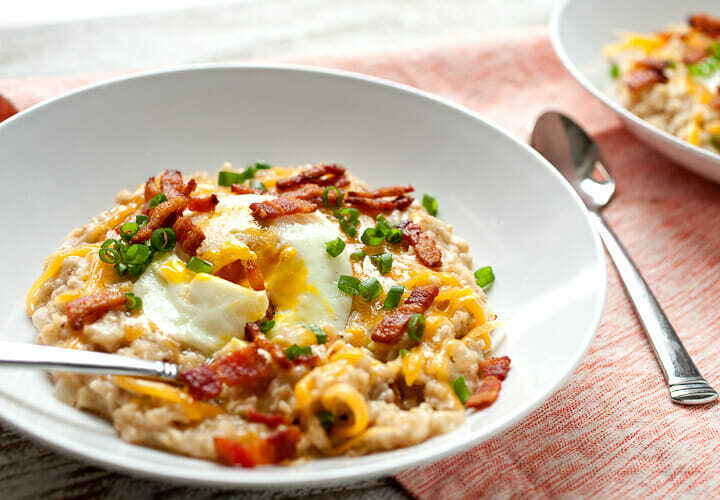 Oatmeal doesn’t always have to go with blueberries and brown sugar – this version swaps it out for crispy bacon and gooey cheddar against an eggy background. What’s better than a breakfast burrito? A breakfast quesadilla, of course. 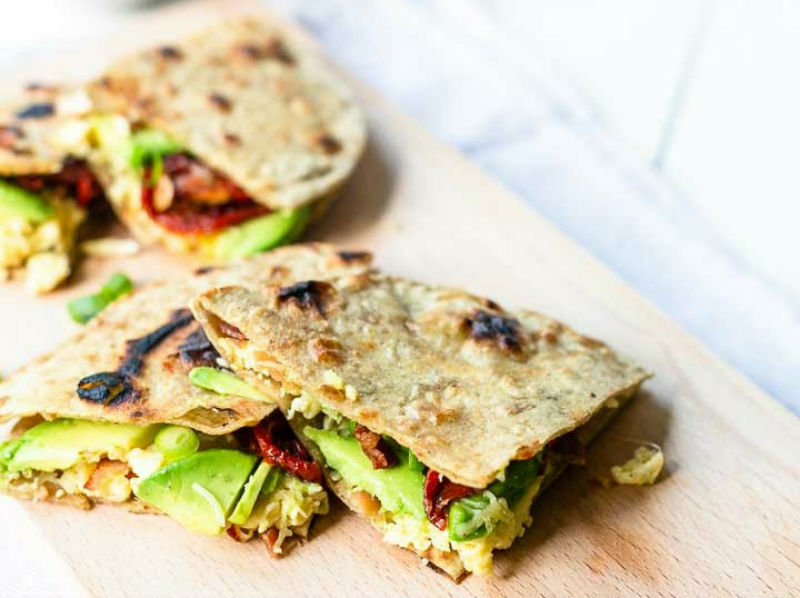 Streaks of bacon blend well with creamy avocado and sun dried tomatoes. 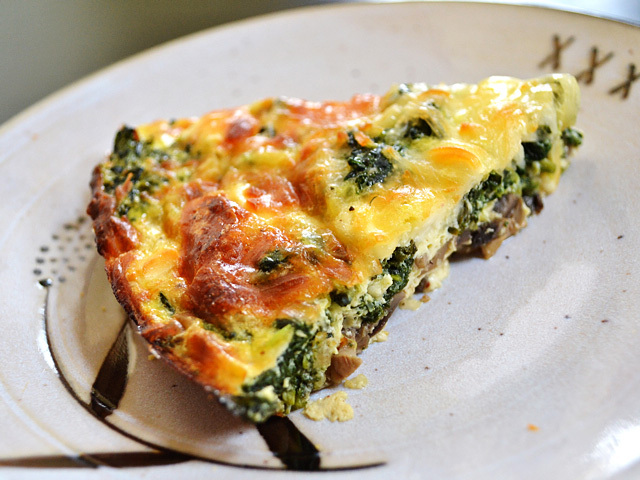 Quiche, although it sounds fancy, quiche is actually quite easy to make, and won’t give you a carb hangover. 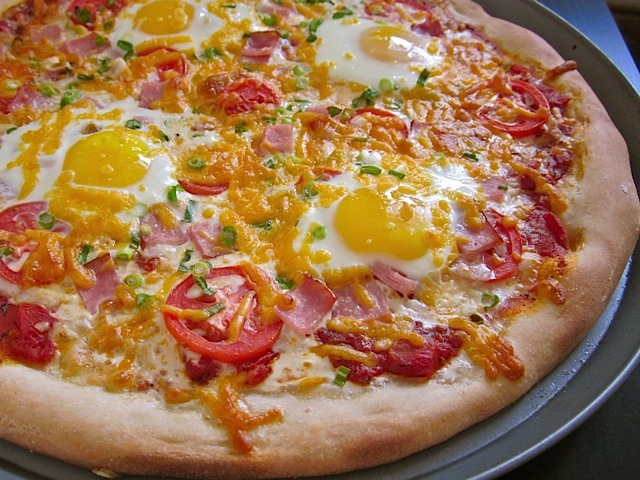 Pizza is always a suitable meal for breakfast and dinner, but when you actually fuse it with breakfast foods, the pie becomes something otherworldly. 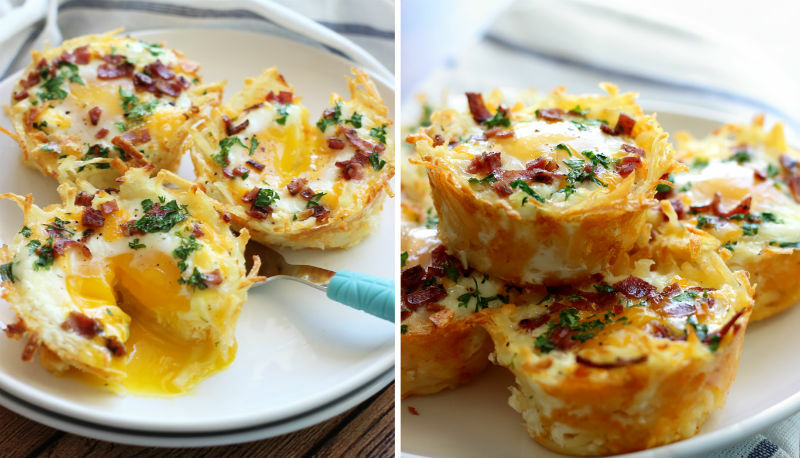 Eggs, mozzarella and bacon melt together with onions and herbs to meet all your hangover needs. 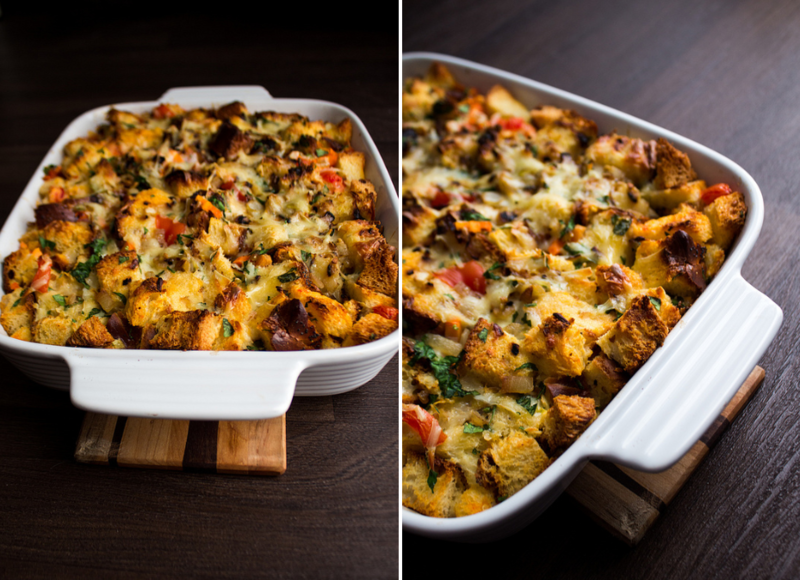 Basically a savory French toast meets bread pudding casserole. Fat cubes of challah are tossed in a dish and blended with fresh veggies, cheddar, eggs and garlic. Not even that unhealthy, but so decadent. Everyone’s tried the classic Nutella crepe, but have you ever gone savory? The flavors in this richly flavored take is filled with parmesan, green onion, bacon, spinach, mushrooms and creamy ricotta. This is perfect for everyday breakfast or a more special occasion brunch to impress bae or friends. 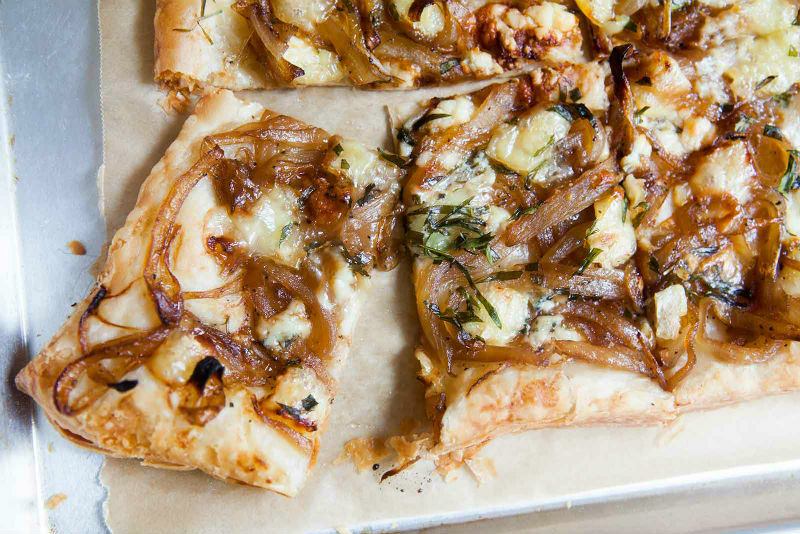 Sweet gorgonzola and sharp onions combine to make a Top 5 frittata recipe that won’t soon be forgotten. Yes, this savory muffin took it there. 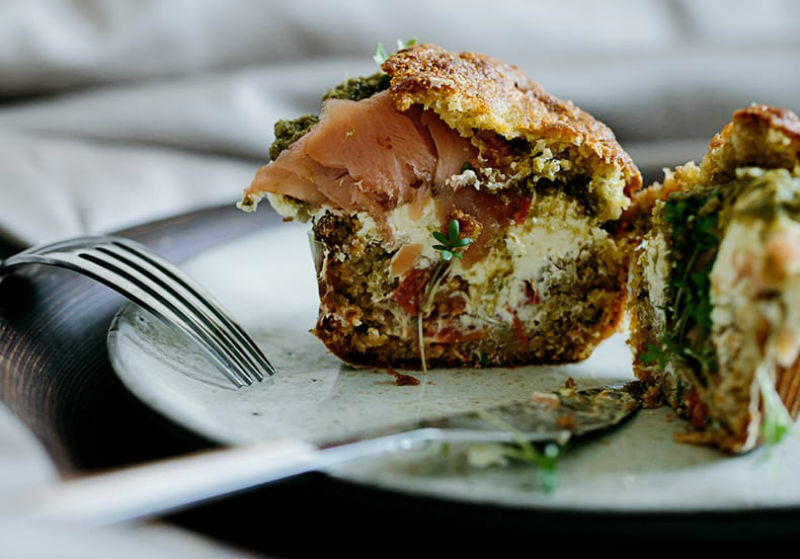 It swaps out icing for luscious cream cheese, topped with some pesto, spouts and smoked salmon. You’ll never reach for a bagel again.